Helen Post Curry, owner of Look Events, has produced weddings, galas and events for over 30 years. She has created heartfelt memories in all manner of locations, from the simplest of barns to the most glorious of ballrooms. However, the most unusual request she gets may be the most meaningful: the labyrinth wedding. “Long involved with teaching walking meditation using labyrinths, Helen Curry was called upon to create her first Labyrinth Wedding in 1995. As an ordained inter-faith minister, she planned, produced and performed the ceremony using a portable canvas Ceremonial Labyrinth of her own design. Over the years she has gone on to do many others, both indoors and outdoors. 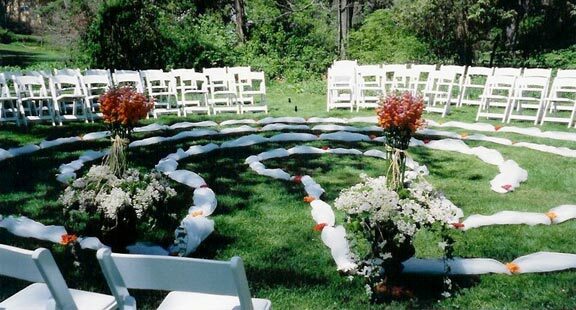 “Weddings on the labyrinth are wonderful and have a completely different feel than traditional weddings. Rather than the traditional walk down the ‘straight and narrow’ of the church aisle, the couple walk around the paths and turns of the labyrinth–a much more accurate metaphor for the journey they are embarking upon. 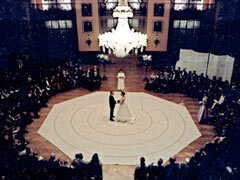 If you’d like to know more about a labyrinth wedding, check out “The Way of the Labyrinth: A Powerful Meditation for Everyday Life,” published by Penguin Compass, a division of Penguin Putnam, or read an article by Beliefnet.com. Have you attended or would you consider a labyrinth wedding? The post The Labyrinth Wedding – A Walk of Love appeared first on About Meditation.